Hi! I’m an American Board of Opticianry Certified Optician and the owner of Eye Candy. 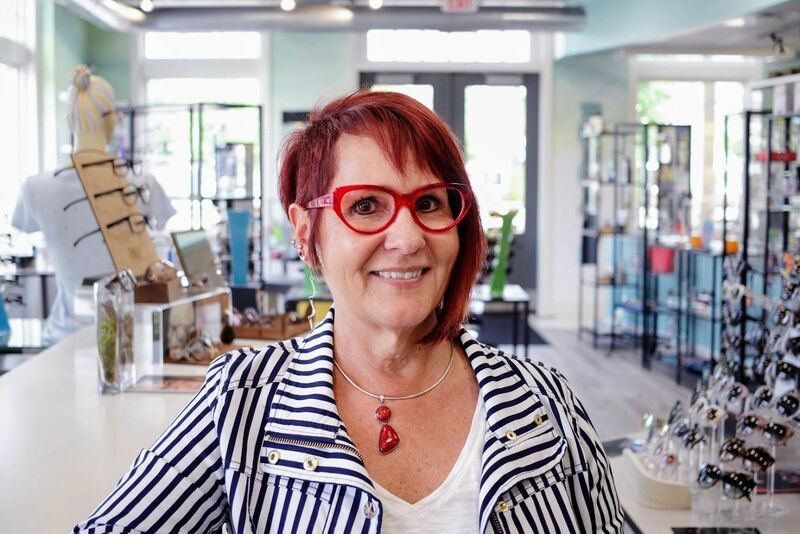 The concept of Eye Candy was developed from my belief that the experience of selecting eyewear should be as fun and exciting as wearing that great pair of amazing new glasses. My passion is customer service, and I am dedicated to providing high quality eyewear with service that meets or beats your expectations. When I'm not showing you the latest and greatest in eyewear, I love to read and belong to a book club, garden in the summer, enjoy dinner with friends and travel every chance I get. I love animals and my husband, Tray and I have 3 cats: Rudy, Zoey and Betty Boops! I have over 40 years of experience in the optical industry (boy did I start out young!). I love to bring this knowledge and experience to each of my customers to enable us to find the perfect look and excellent vision they deserve. I’m living my dream at Eye Candy. Come on in and let me share my passion with you—I can't wait to meet you! 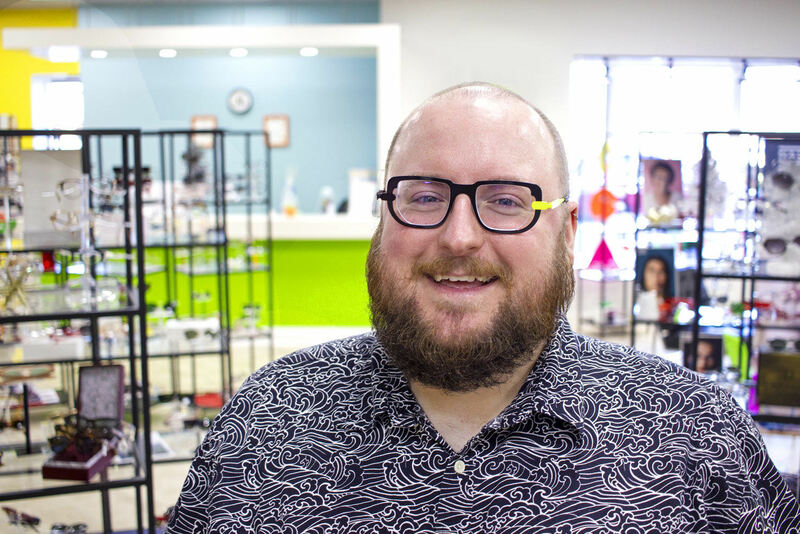 My passion for selling unique eyewear started over 15 years ago, after graduating from Kettle Moraine High School. I've worked in both optometric and ophthalmology practices which is how I’ve become the knowledgeable optician that I am today! In 2012, I decided to step it up a notch and become American Board of Opticianry Certified. To further help my obsession with fabulous eyewear, I broke out of the box and found a home at Eye Candy. When I am not helping you become an eyewear addict, I love to laugh and spend time with my husband Brian and my two wonderfully unique kids, Fred and Elinor. I enjoy baking, conquering ideas from Pinterest and being a Girl Scout mom! Let me help you create a one of a kind look—be You, be EyeCandy! With more than 28 years experience wearing glasses, my optical career path makes perfect sense! My journey to Eye Candy began in 2010, where I started off in a bustling Boulder, CO optometric practice. Returning home to Wisconsin, I delved more into opticianry, working at a boutique eye doctor’s office. There, my knowledge and skill set grew as did my keenness for exceptionally crafted, unconventional eyewear! I joined the Eye Candy team in 2014 and passed the American Board of Opticianry exam in early 2017. As Eye Candy’s resident Media Specialist, I’m always looking for a photo op, so don’t be surprised if I ask you to model for us! Outside of work, I love traveling with my significant other, Marcelo, spending time outdoors with our two dogs (Newton & Bowie), catching a concert or tinkering on a photography project. My artsy background means I have an expert eye for fit & how frames interact with one’s facial features—I can’t wait to style you in the perfect pair or two! When the opportunity arose to join the Eye Candy's team, I was filled with excitement! It has always been a dream for me to become part of an optical boutique that is passionate about not only fantastic eyewear but also to enhancing the shopping experience. 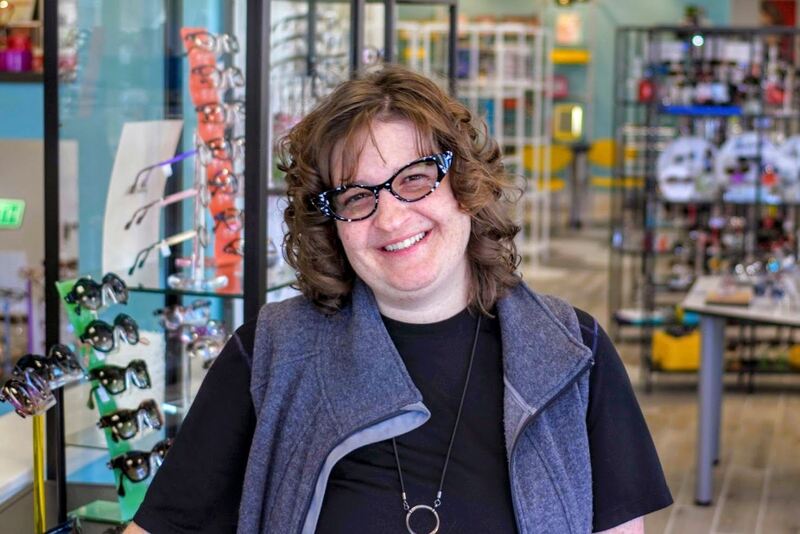 I bring a unique skills set to Eye Candy that started as a student at Madison College within the Optometric Technician program that led to becoming certified with the American Board of Opticianry. Along the way I have gained over 20 years experience at several private practice optometry clinics. In my spare time, I love being in the great outdoors hiking at Devil's Lake, rocking out at my husband, Tracy's music gigs, beautifying the world with my flower gardens and even attempting to grow some veggies (still working on this J). I look forward to meeting you soon at Eye Candy—showcasing the latest trends with fabulous eyewear and sharing the experience to a new you!! Hi, I’m Cindy. 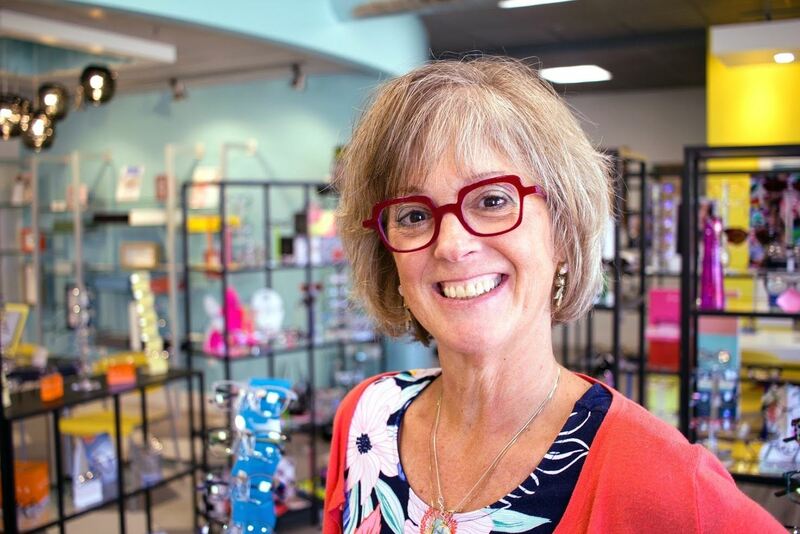 I started in the optical industry in 1982—time flies when you're having fun, and boy have I been having a blast!! 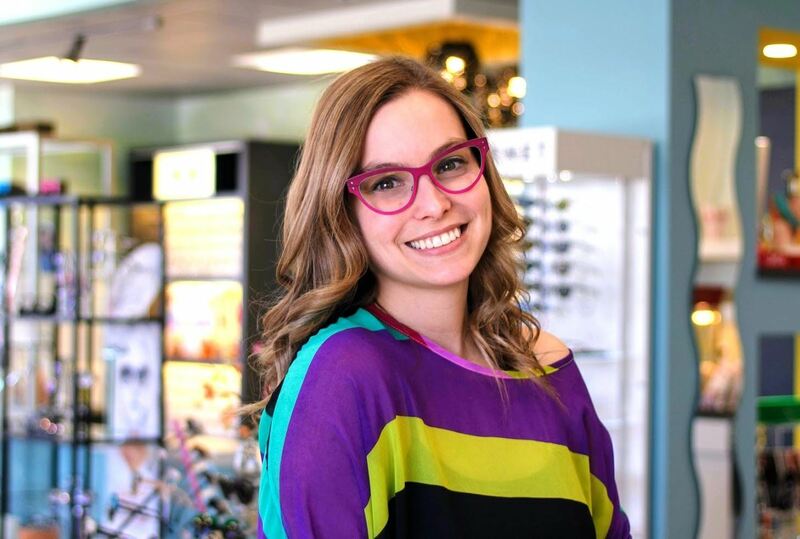 I absolutely love styling customers in unique, fun, and colorful eyewear as well as providing the best in lens technology. Selecting eyewear should be a great experience, and that's what I want for everyone who comes to Eye Candy. Putting a smile on your face is my goal! When I am not at work, I am exploring the outdoors with my two Labrador retrievers Duke and Tilley (the young fireball). I also love spending time with my family, especially my beautiful daughter. I like to joke that I fell into this line of work. I saw a job posting for a big box retail optical and thought to myself, "Why not?”. So I took a chance and applied for an optician position. And so, in April of 2005, I began my optical journey. I love to learn, love to use critical thinking, and love a good challenge, so between these traits and my artistic background, being an optician makes perfect sense. I've come a long way since 2005. I've worked in both retail and doctor-owned practices, I've become certified with the American Board of Opticianry, and I've worked in a lab cutting lenses. But one opportunity I hadn't yet had was to work in a luxury boutique like Eye Candy. 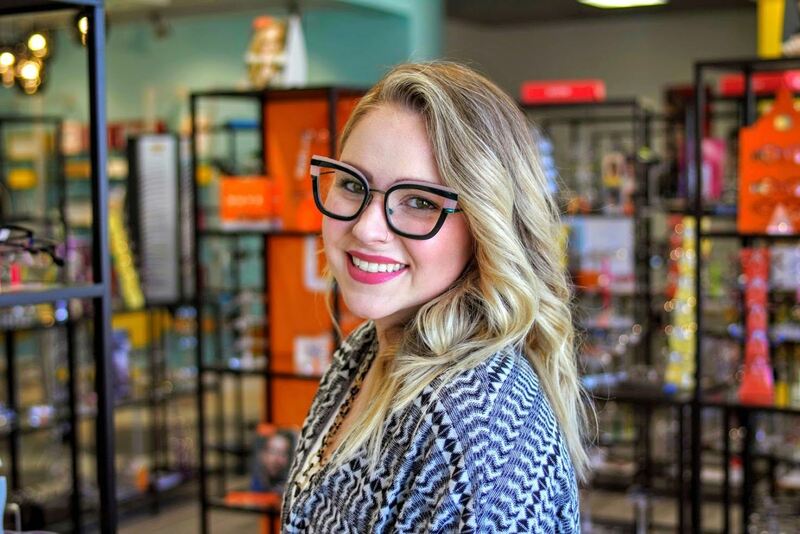 The Eye Candy experience is unlike anything I had seen before; carefully curated, high-quality eyewear collections, and a full staff of certified opticians ready to help you find your new “eye candy”. When I’m not working I’m usually hanging out with my dog Kizzie, exploring Wisconsin, or playing video or board games with my friends. Oh, and I’m a Hoosier, but please don’t hold that against me.